My name is Sheeba Ajmal and I love working with Education Technology. My blog reflects my sheer passion to work with Education Technology. 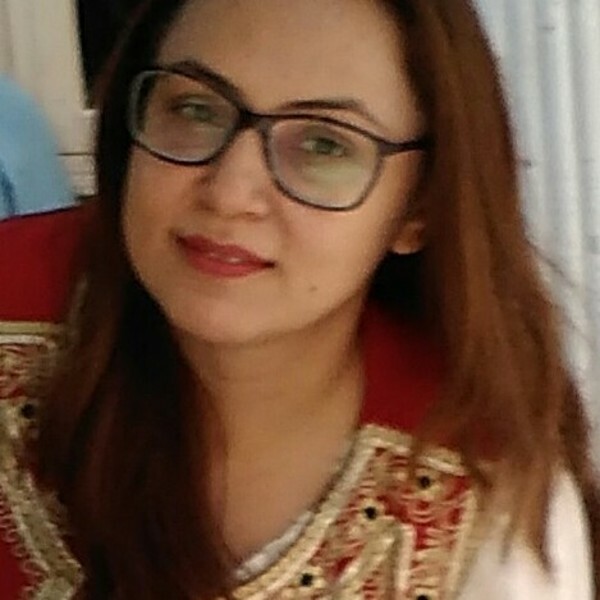 I have served for good 12 years at a very prestigious institute of our country Beaconhouse School System in various capacities that include being a Teacher, Teacher Trainer and Regional Assistant Manager for Education Technology. I am a certified trainer to teach with digital technology. The project is currently active in 2 schools namely SOS Children's Village (an orphanage) and Ran'aa Child Welfare Foundation ( a school for street children) in Peshawar. Kids at both schools have participated in Global Education Projects, have been given exposure all tools used in elite schools. They have participated in online global math competition. Kids at Ranaa can now code in Scratch, make short videos/documentaries in Photostory 3 , access and practice Math and Grammer exercises in Khan Academy, create quizzes in Kahoot , access own accounts in the Google Classroom etc. Kids run an online show every Monday The Techy Kids Show to share their expertise in technology. Details in the website. Since I am working with kids at SOS Children's Village and Ranaa Child Welfare Foundation for almost 2 years now, I think its important to give them exposure of the projects that globally kids are working on, it will not only extend their knowledge base and understanding about global concerns, take part in innovative education projects, share own innovations, and get equipped with skills to survive and thrive in the 21st century. Second I can initiate and share these projects with teachers and students at my school Beaconhouse , they have a lot of potential and am sure they would love to join and be part of a global community. Its an opportunity to share own innovations with the global community too. Education can open doors for students, equip them with skills, empower them to become change makers and decision makers. Its about building future leaders. Innovation drives the change in education. Its important so that there is no stagnancy. It opens doors for experimentation, trial and error. It encourages change makers, dreamers, the crazy lot to try out new ideas and share their success stories in the form of projects with the world. I love the following hundrED innovations and would love to try out these in our schools in Pakistan. 1. Education Cities - I think such projects can change the future of Education In Pakistan, enable people at the local level with tons of potential and ideas to initiate their own projects and take them up to national/international levels, decreasing financial, municipal levels queries. 2. Student Agents - aims to empower enthusiastic learners to share their ICT expertise in their school community. Its very practical and applicable. Students love working with technology, with limited resources too, this model can work wonders.